Discussion in 'General' started by satans-sadists, Jan 4, 2018. 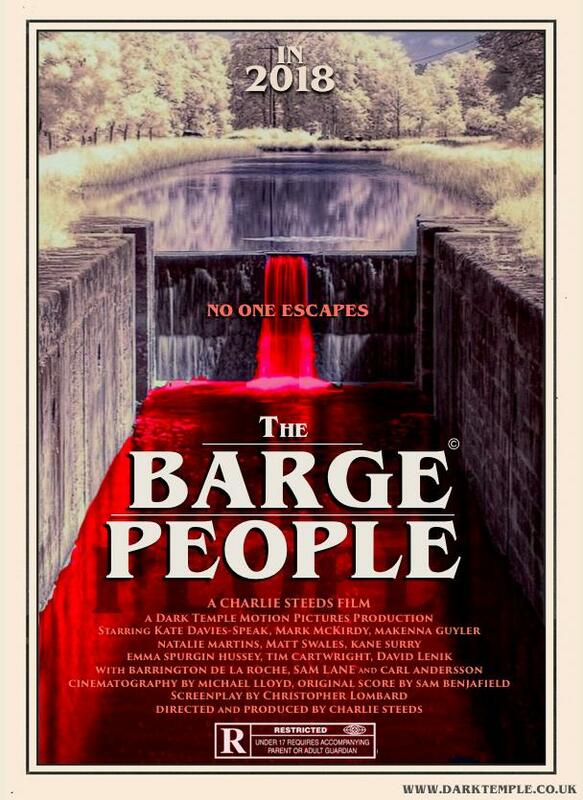 Currently in post-production and set for release this year, the Christopher Lombard-penned, Charlie Steeds-directed The Barge People looks a bit like The Hills Have Eyes meets H.P. Lovecraft, centered on a group of friends who find themselves preyed upon by flesh-eating fish mutants that would be right at home in Lovecraft’s stories. This is 2018’s craziest trailer so far. Enjoy. Kate Davies-Speak, Mark McKirdy, Makenna Guyler, Natalie Martins, Matt Swales, Kane Surry, Emma Spurgin Hussey, Tim Cartwright, David Lenik, Barrington De La Roche, Carl Andersson, Harrison Nash and Sam Lane star. Workshed, Kim Bruun and Steel76 like this. Looks a bit like the flukeman from the X-Files episode The Host. Count me in. I'm really glad they copyrighted that title, because wow, what a winner! Right up there with "The Bye Bye Man" as one to strike fear in the hearts of moviegoers everywhere. That looks pretty good, but yeah, that's a bad title. If I saw just the title without that weird fish dude image from the trailer I probably wouldn't even stop to see what it was about. Trailer sold me on this for sure. The directors previous movie 'escape from cannibal farm', was not great, a sort of amateur, no budget UK take on 'texas chainsaw massacre', it looks from the trailer that a few additional pounds have been spent on this one, I'm game. It’s been a year since THE BARGE PEOPLE first struck terror in our hearts, thanks to this thread. Someone on this site has seen the film. Who lived to tell us the tale?